The Liebherr 2017 ITTF-Men's World Cup is already two days in and Saturday 21st October's action sees the eight seeded players and the eight competitors who successfully negotiated the group stage compete in the Round of 16 before the day draws to a close with four quarter-finals encounters. Now that the draw has been conducted, here is a brief look at the fixture lineup for Day Two of the tournament being hosted in Liège, Belgium. World champion Ma Long is one of the seeded players who will compete for the first time at this year’s tournament when he takes to the table against Egypt’s Omar Assar. Speaking at the pre-tournament press conference Chinese star Ma Long stated that he is fully prepared for the task that lies ahead and Omar Assar will require a performance of a lifetime to prevent the top seed from moving through to the last eight. “After my first visit to Belgium in 2008, I am happy returning and I am looking forward to a good performance after my outing at the Chinese National Games… I am ready for the challenge, I am ready to adapt and take each match as they come”, Ma Long. However, the big story is that Lin Gaoyuan has also been drawn in the top half of the draw which could potentially lead to an all-China semi-finals encounter with Ma Long. First up Lin Gaoyuan will have to negotiate Portuguese opponent Marcos Freitas in the Round of 16, with the winner booking a quarter-finals fixture against either Germany’s Timo Boll or Brazil’s Gustavo Tsuboi. Dimitrij Ovtcharov has been handed somewhat of an unpredictable opening tie, after the second seeded contestant was handed a fixture against Ukraine’s Kou Lei in the lower half of the draw. 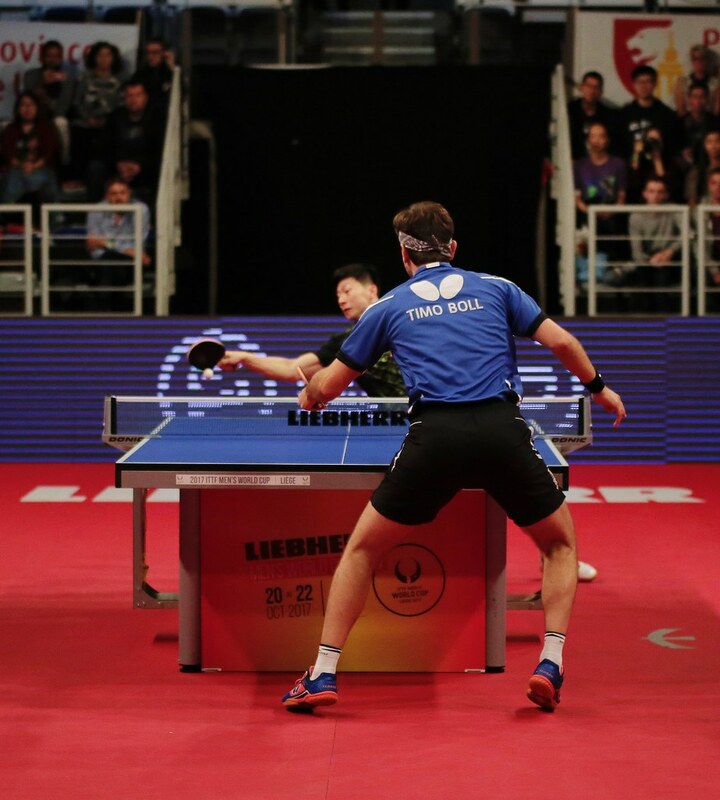 Meeting Kou Lei in a semi-finals match earlier this year at the 2017 ITTF-Europe Top 10 Cup, Germany’s Ovtcharov narrowly came out on top in a seven game thriller. Could we be set for another dramatic showdown between the two players when they go head-to-head in the Round of 16? Elsewhere, Lee Sangsu of Korea Republic takes on no.5 seed Koki Niwa while the latter player’s Japanese compatriot Jun Mizutani faces Quadri Aruna of Nigeria. Who will emerge victorious in Liège and lift the Liebherr 2017 ITTF-Men’s World Cup? Watch the action unfold live with itTV.